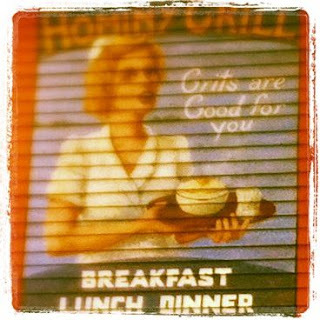 The Hominy Grill is known for its Big Ugly Biscuit. 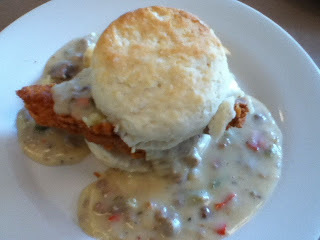 It involves a large biscuit, a large piece of fried chicken stuffed into the biscuit. A scoop of cheese on top of the chicken. Finally and ladle of sausage gravy to add a certain lightness to the mix! How good is that! Pretty darn good. Along with the food one can get t-shirts, mugs and a small cookbook. While the Big Ugly Biscuit is not in the cookbook, the actual biscuit recipe is included. 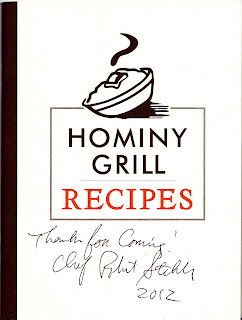 But the best thing in the cookbook is their chocolate pudding recipe. It seems that Alton Brown showed up about a year ago and no one noticed him. 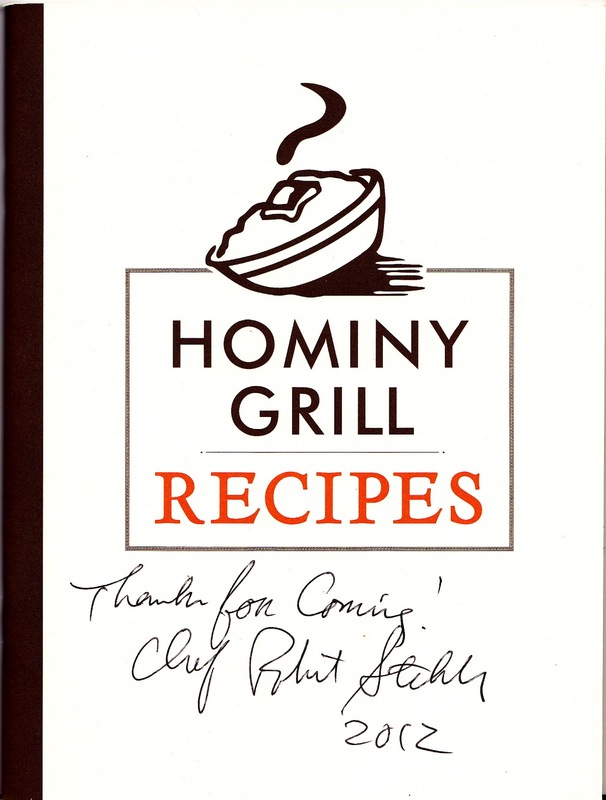 Then the Food Network did one of their "Best Thing I Ever Ate" shows about chocolate and Brown said the best chocolate he ever ate was the chocolate pudding at Hominy Grill. It tasted he said, "like sucking the soul out of a little chocolate Easter bunny." Chop chocolate, reserve in bowl. Whisk 1/4 cup sugar into egg yolks. Mix rest of sugar with cream & vanilla in saucepan, bring to a boil. Pour a little hot cream into bowl with egg yolks for smoothness and then pour the remainder over chocolate, stir with spatula until smooth. Add egg mixture and salt, then train into a pitcher. Pour into 2/3 cup ramekins, place ramekins into a shallow baking pan half filled with water & cook for about an hour. I was told, the chef's secret is using not just any bittersweet chocolate but using Callebaut chocolate. Well, it was quite the experience. Here's Alton with a bit of extraneous stuff from the show.